Sochi: Defending champions Lewis Hamilton and Mercedes will seek to tighten their grip on this year’s Formula One world championship with a fifth triumph in five years at the Russian Grand Prix. 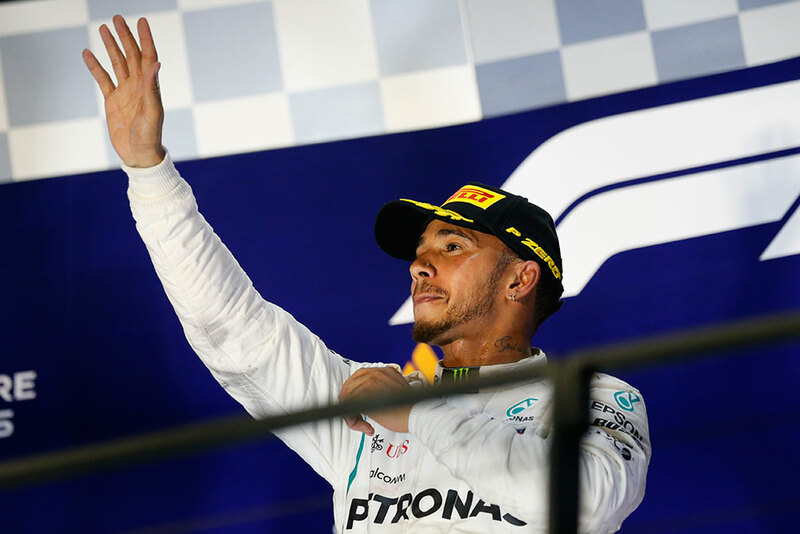 No other team has tasted a victory since the event began at the former winter Olympic Games venue in 2014, Hamilton winning then and in 2015, Nico Rosberg in 2016 and Valtteri Bottas last year. And with a 40-point lead on Ferrari’s Sebastian Vettel in the title race, four-time champion Hamilton looks set to go into the final six races of the season in confident fashion after registering four wins in his last five outings. Mercedes team boss Toto Wolff, however, has warned against complacency as they enter the championship’s most critical spell. Hamilton’s dazzling triumph in Singapore, where his pole lap was widely regarded as one of the greatest of all time, may have lifted him into a position with a clear advantage, but Wolff has stressed that rivals Ferrari will be a serious threat in every contest. “Obviously, it’s better to have a lead than not to, but there are six races to go and plenty of points to score — so it doesn’t give us any comfort,” he said. “We will continue to concentrate on every single session, trying to optimise the car in every possible area — and we will go for the race win. “There is no naive optimism about our situation within the team. “Our mindset is very positive, we are energised, the factories are buzzing and we’re excited for the fight that we will certainly have in the next six races. Wolff made it clear also that he will not be surprised to see Bottas recover his best form at a circuit where he won last year despite slipping out of serious contention in the title race. “For every racing driver, it’s a very difficult situation because everything you dream about and everything you work for is to win the world championship,” he said. “When you realise you’re not in the hunt anymore, it’s very difficult to handle, but Valtteri has shown that he has the speed, the talent and the work ethic to win in a Mercedes. “He has always been a team player and that is one of his greatest traits. He could have won races this year, but the odds were against him. Vettel, also chasing a fifth drivers’ crown, knows he also has to deliver this time after an unexpected struggle to third place in Singapore. “I think Russia has been getting better for us in the last few years,” he said. “It should suit our car too. I don’t think we have to fear any of the tracks that are coming up now. Yet Vettel has claimed only one win in five as he has slipped behind an in-form Hamilton since his Singapore sling. Another victory on a weekend when he could claim his 80th pole and 70th win would leave him Hamilton knowing that he can finish second in all five final races and, even if Vettel wins, still be crowned champion. Red Bull could be a serious threat to both Ferrari and Mercedes, however, as Renault-bound Daniel Ricciardo and Max Verstappen, who will turn 21 on Sunday, try to make the most of the tight street track that may favour their car’s performance.